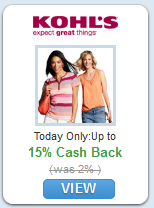 Beth Ann & Jessica's Helpful Savings: Kohl's: 15% off and up to 15% cash back through Shop at Home. Kohl's: 15% off and up to 15% cash back through Shop at Home. Get up to 15% cash back on your Kohl's online purchase through Shop at Home! 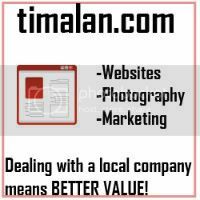 Plus, 15% off your purchase with code SAVE15CDT. You can get cash back from SAH even when you buy a gift card!